Hey friends, we're back with a new episode for you. 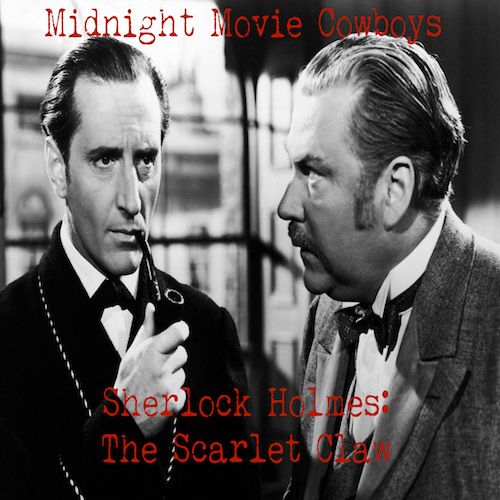 On this one, Stu and John look at the 1944 Sherlock Holmes film THE SCARLET CLAW. While not as an instantly recognisable title as say The Hound of the Baskervilles, it is by no means less important. So, grab your smoking jacket, your pipe, a glass of brandy and sit yourself by an open fire, and listen on with us.